How do you design the ultimate urban dwelling? This was the question posed by Shiu Pong to entrants of the Design Haus student competition, who vied for cash prizes and the opportunity to see their renderings come to fruition. 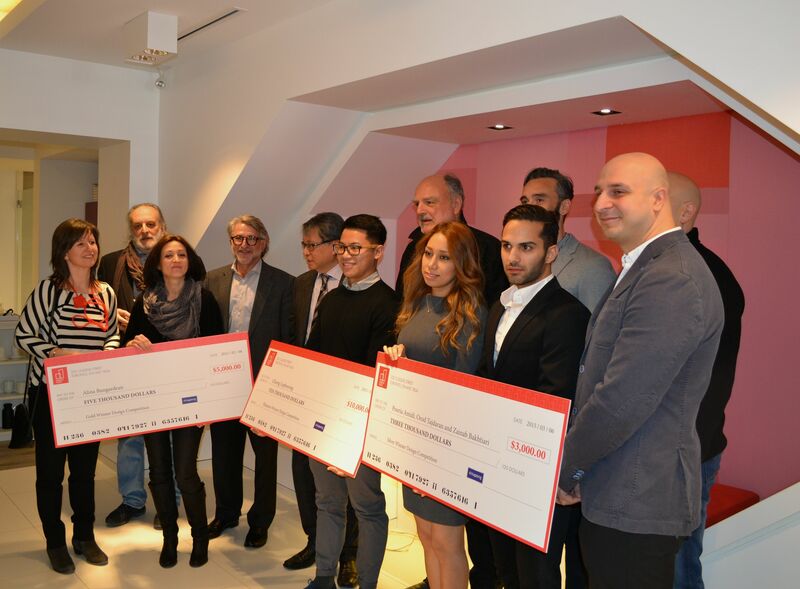 On Friday, March 6th the top three finalists were unveiled at a ceremony at the Design Haus presentation centre. 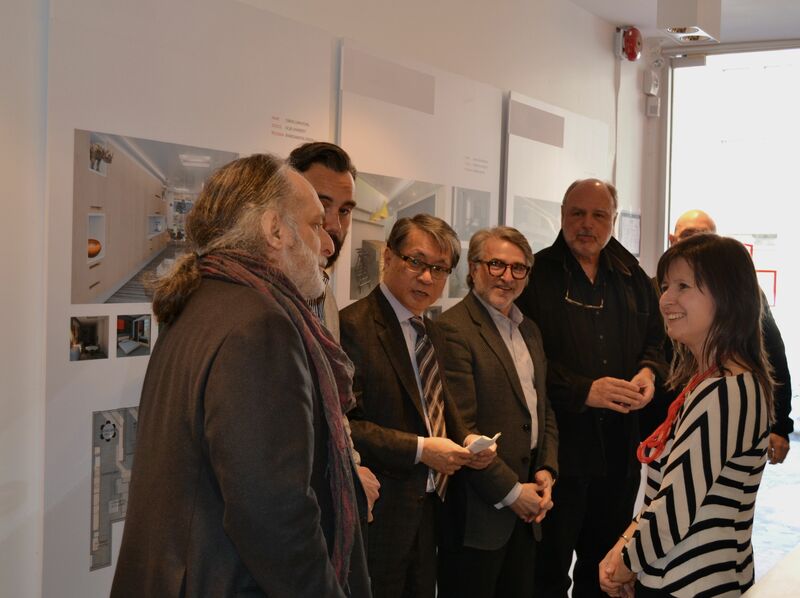 A panel of judges representing Kirkor Architects + Planners, Union 31 interior design, the University of Toronto, OCAD University, Ryerson University and George Brown College evaluated the submissions, which were subject to suites with 575 or 900 square feet. Chieng Luphuyong of OCAD University was chosen as the first prize winner for his suite design, titled “Live in Design.” The unit was inspired by the geometric abstract artwork of Kazimir Malevich, who launched the suprematist movement. Luphuyong was the unanimous winner, thanks to his interchangable main spaces and neutral colour palette — he was awarded a cheque for $10,000. 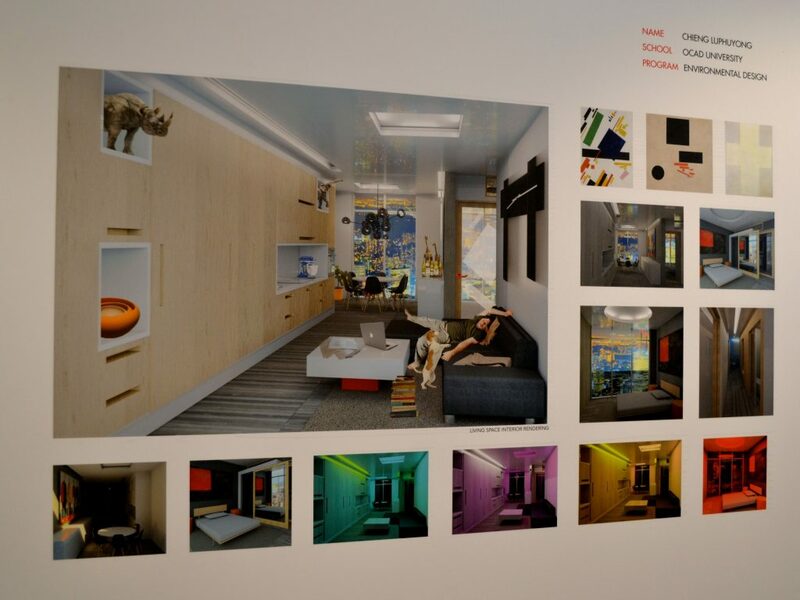 Second prize, worth $5,000, went to Alina Bungardean of Ryerson’s interior design program. Her suite, “Unit 8B” was designed for a young, environmentally friendly city dweller. Its concept was based on transformability and featured pocket doors, a partition and space-saving furniture. Pouria Amidi, Orod Tajdaran and Zainab Bakhtiari of OCAD took home third prize with their “Ground Zero” suite, which was based on the function and structure of roots. 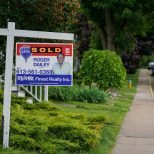 The three received $3,000 for their one bedroom unit, which included cove lighting and custom-built furniture. 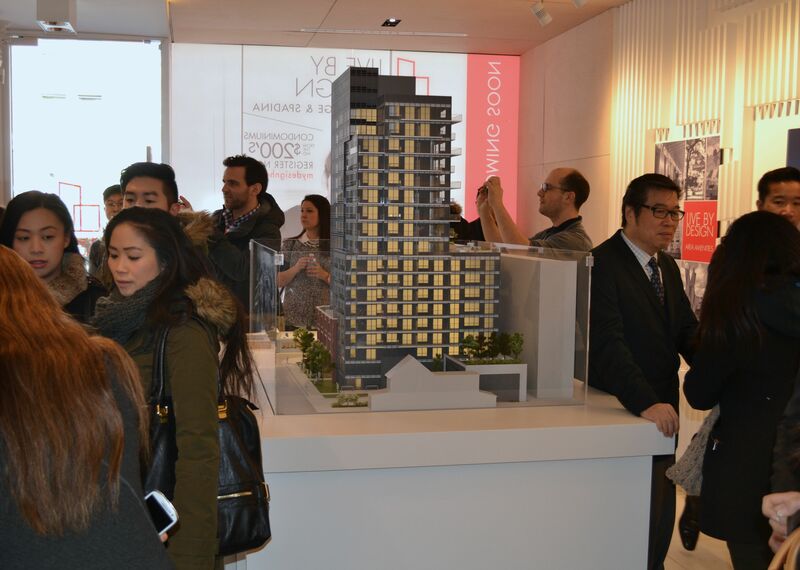 Located near the intersection of College and Spadina, Design Haus will incorporate 116 condominium units and 26 rental apartments. For more information on Design Haus, please call 416 596 8893 or email info@mydesignhaus.ca.